All those links from Macko50 i.e. George. I have a few pictures of them. All captures are from Friday 5 April. 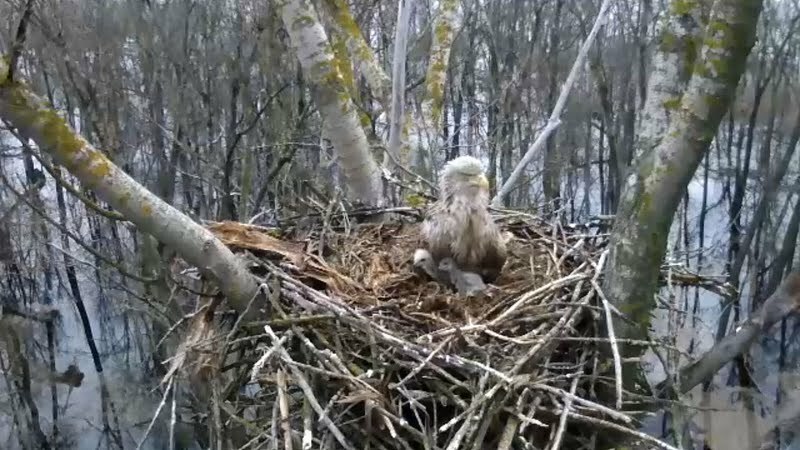 Eagle arrived to the nest. 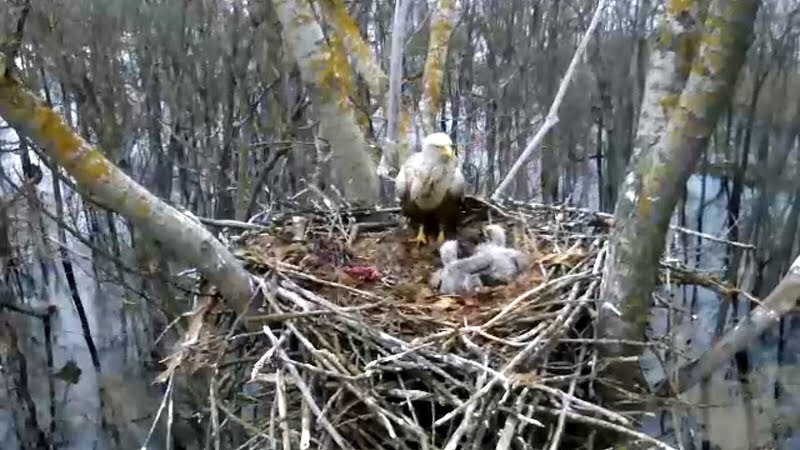 Adult eagle with two eaglets in the nest. I visited -- looks like a parent is trying to get a nap. the hungarian eagle is eating - there is a dead bird. she or he has been overseeing the little ones. super interesting! edit: and its feeding one of the little ones! I have a new pictures of WTE from Hungary. All pictures are from Sunday 7 April. There is a web cam! Kids grew! IREN- wrote: There is a web cam! Kids grew! *** IREN-, I agree with you. I have a few pictures from yesterday. One of parents with two eaglets. Adult eagle on edge of nest. Eagle took off. 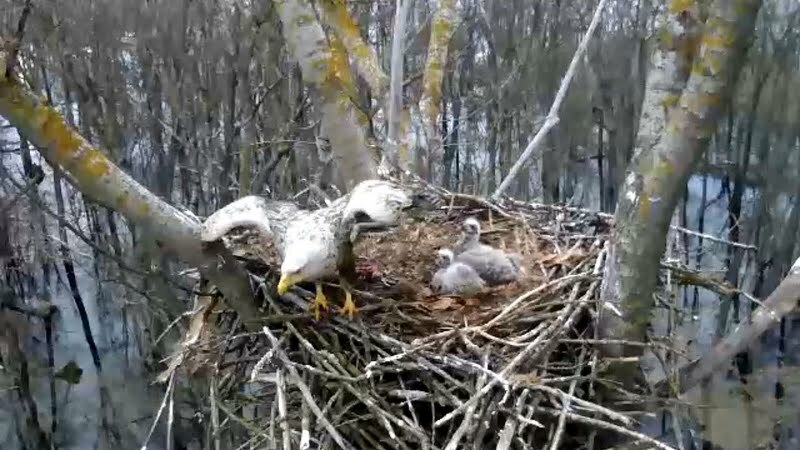 Two eaglets sat in the nest. I worried yesterday - in one of birds (mother, the father) there was a sagged wing... maybe I got wet. It is visible one baby bird is more senior and stronger and pushes small from food giving. Very long adults leave small - not dangerously from crows? My God, what dinosaurs good! Parents stuffed food, can't move! Big, fat, & eating like horses! 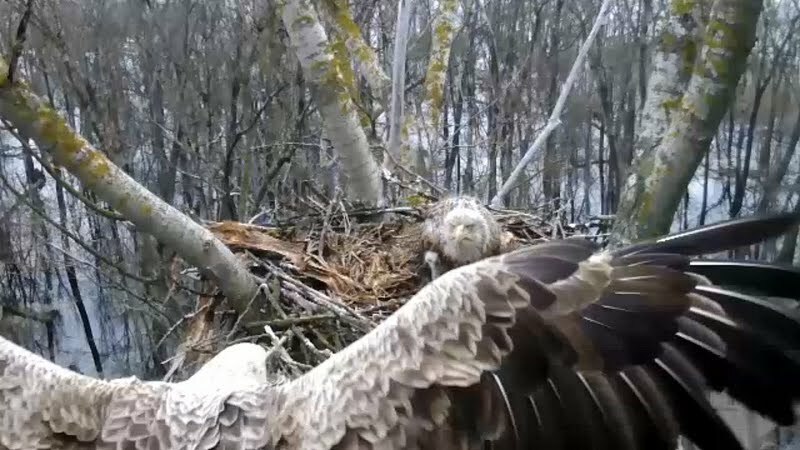 Danish beautiful eaglet left the nest! Mother was looking for him and visited the nest several times. She brought the prey, but took it back. 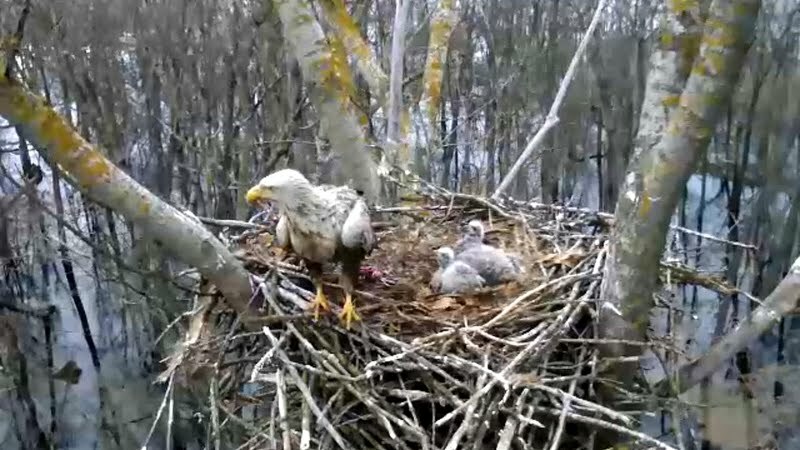 Now the eaglet is very close to the nest, his voice is audible, probably he is trying to get back to the nest. Mother is waiting for him. 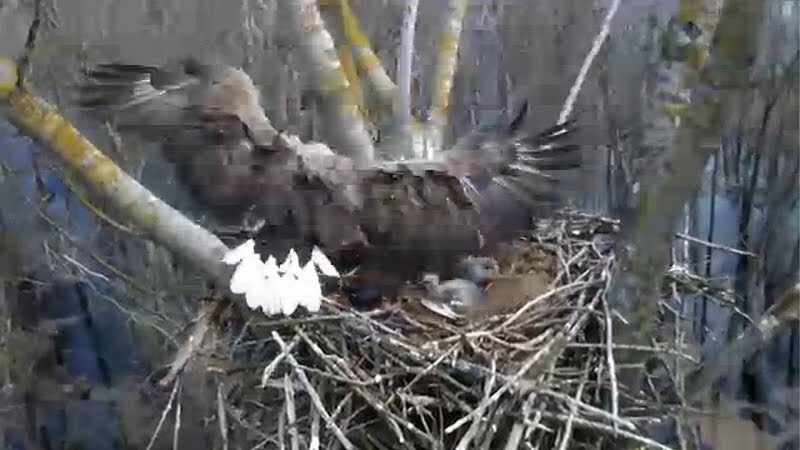 It is almost dark but mother is still waiting for the eaglet. The young Danish eagle is back in the nest. 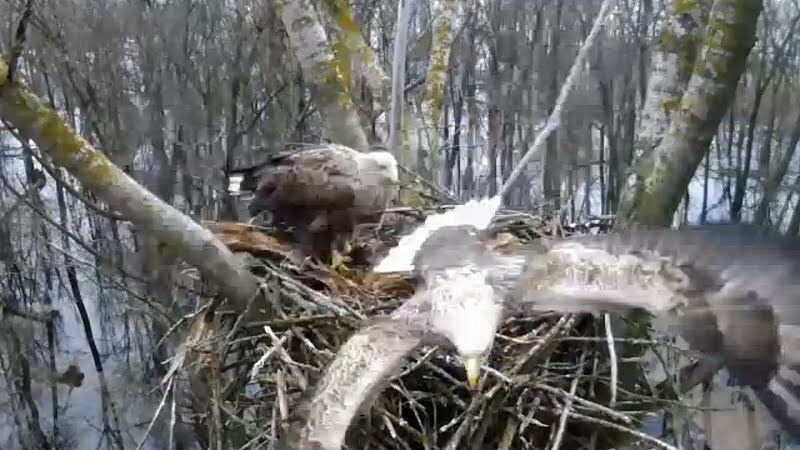 After yesterday adventure young Danish eaglet undertook a more intensive wing exercises. Short mom visit with the prey. 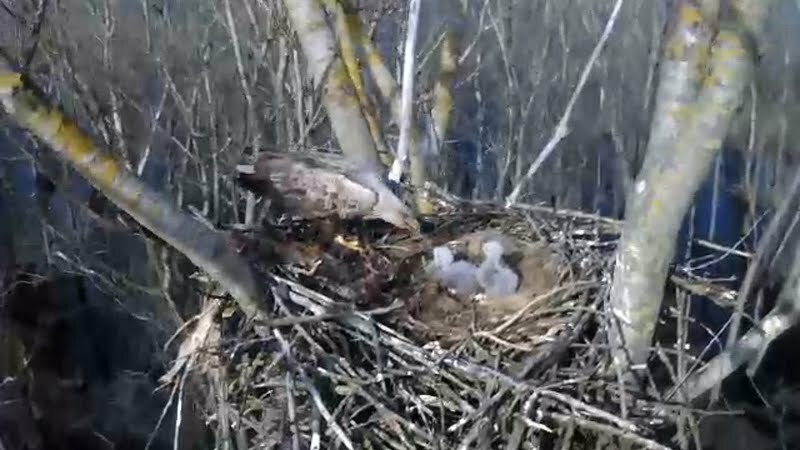 There is also an interesting live broadcast from the White-bellied Sea-Eagle (Haliaeetus leucogaster) nest from Australian Sydney Olympic Park close to the Parramatta River. 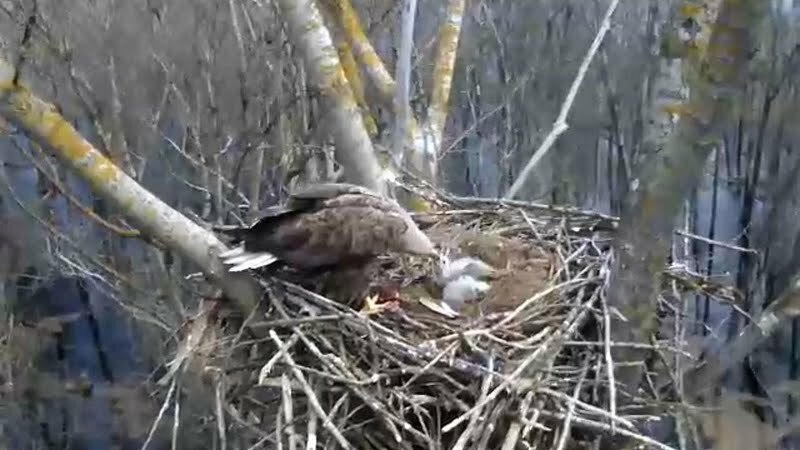 After the late breakfast the eaglet left the nest. 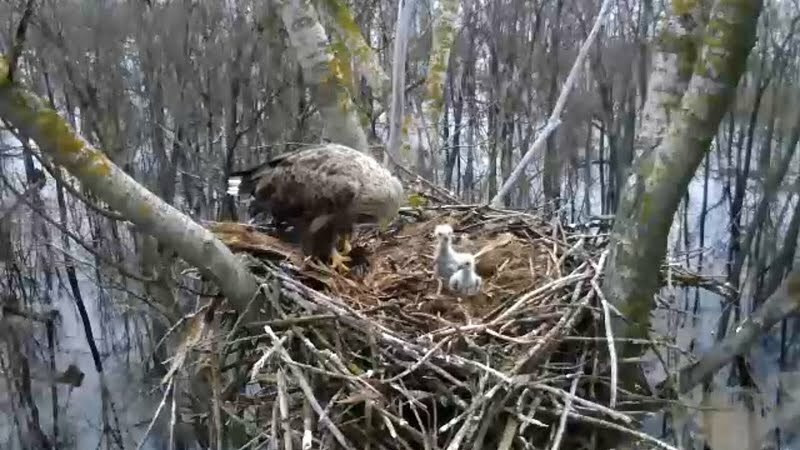 Then both parents flied in and one of them was waiting about two hours for the eaglet. 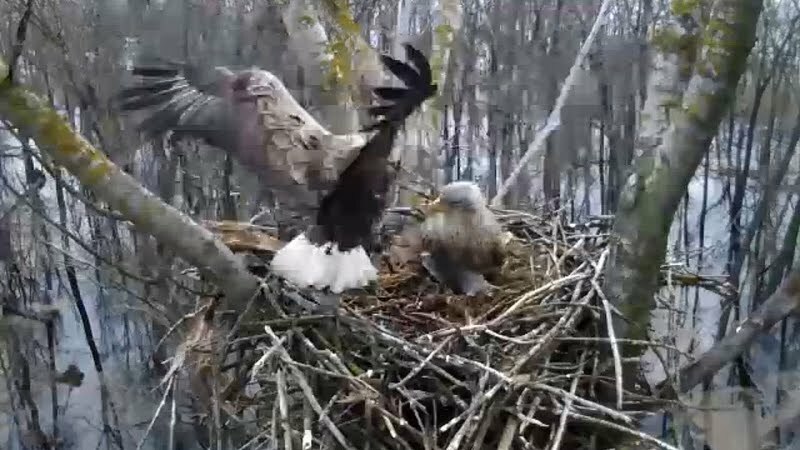 The eaglet was back in the nest and left it again.